3-25-10 Lots of FUN and excitement! Wanted to do a quick update to let everyone know that Ally is doing wonderful and we have had a lot of fun and excitement going on the last two weeks or so. I have tons of pics to share and within the albums are some short videos too. I’ll also be writing more details soon, but figured I’d start with some pics. We’ve also dealt with a little craziness here and there, but isn’t that normal when you have a family and child with SMA? Ally’s school, Stock, is currently scheduled to close in June. I just visited this week to prepare for her to attend in April and now it might be closing. She would be assigned somewhere else, but Stock is probably the best Early Childhood School is Chicago. They are also working hard to meet her needs using a combo of homebound and attending school. We are also exploring spending some time in the blended classroom (special ed kids and regular) and some time in self-contained. The parents and school are going to do everything we can to keep it open, but this is due to state funding cuts. I believe 150 Preschool for All Programs are scheduled to close and Stock is #1 on the list since its population is not below poverty and some other factors. I’m praying hard that a solution is found and I will do my best to help keep it open. Also got a horrible shock when my income tax check was not deposited on Friday as I expected. Since I never got around to filling out a new deferment on my student loans they took over $5000 to put toward my balance. Creating a payment plan was on my ‘to do list’ but it is done now. Really stinks since we were really counting on this refund for house things, bills, and some fun, but life goes on and we will manage. Gotta focus on the positive! 1) We went to an amazing play at Pheasant Run last weekend. It was Beauty and the Beast put on by Noble Productions. The actors ranged in age from 8-19 years old. The director and entire staff and actors were EXTRAORDINARY! 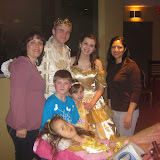 Ally and our family were given the Royal Treatment. We hope to attend again this weekend with Ally’s SMA boyfriend, Nolan and his family. I must say, I think this might be the BEST play I have ever attended and it is put on by children. Belle is about 14 years old and sounds like the Disney character. Check out our album below. 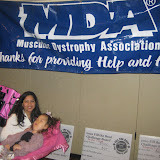 2) We went to a GREAT MDA event Monday night. It was a casino night for IL Fire Fighters to kick off their Boot Camp training. They learned tips on how to have a successful Boot Drive (when they go out on corners with boots to collect $$ for the MDA and all the children/adults affected). We met some nice fire fighters, saw some of our MDA friends and other families and enjoyed gambling with pretend $$$. I love Black Jack and won lots of chips and then raffle tickets. The raffle tickets won a prize package for Maribel. A HUGE thank you to our friend and nurse Maribel who came with us to the MDA event and play. This was done as a friend since she already worked 6 hours with Ally for the play and is limited in the # of hours she can be paid to work with Ally since she is now a supervisor. Maribel is truly an angel. 3) We are planning to go to an SMA Family Weekend in Lexington, Kentucky April 16-18th. This is at Camp for Courageous Kids and is FREE except for driving and traveling expenses. There will be swimming, bowling, crafts, fishing, horseback riding… and so much more. The best is the interaction with other SMA families. Both Maribel and our new nurse Megan hope to attend with us. I think the entire family and our nurses will have a unforgetable, superb weekend. This is our first vacation EVER with Ally, other than going to Cincinnati for an SMA conference last year. 4) Spring Break begins this weekend for the girls. Melissa and my mom are going with my sister Sandi’s family to the Dells for a few days. We will go to the play with Nolan and have the Shofners over on Saturday. Might see if any other SMA families in the area want to join us. Maybe it will be warm enough to get Ally to try out her hot tub this week. Hope to get the yard and deck straightened out. Overall, we will just begin to enjoy SPRING. Hope you and your family can do the same! Be sure to click on the album covers and it will take you to all the pics!!!! Here are a few quick updates that I wrote on Facebook today/yesterday (with a little more details and some pics)…. 1) Had a WONDERFUL St. Patrick’s Day!!!! I chaperoned a field trip for Kristyn. It was a ton of fun taking Jr. High students to the Old Folk Town School of Music for a special Irish presentation. Think the adults liked it more than the kids, but they were well behaved and I don’t think I embarrassed Kristyn too much. Then, Melissa and I went shopping together and got our hair cut. My mom made an excellent dinner for our family, our cousin Kathy and some friends. Ally’s treatment is half done and I’m watching my soap (General Hospital). It’s really good this week. It’s one of my guilty, silly pleasures. 3) Going to bed (about midnight). 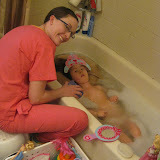 Ally has an appointment at Childrens to get her tummy tube (g-j) changed tomorrow (Thursday at 12:30 pm). Also going to stop by pulmonary to talk about bi-pap masks and get some sputum traps for the future. Might stop by (outside) the PICU to see some of our favorite, caring staff. Ally’s doing awesome and its nice for them to see why we fight so hard when she’s sick!!! Praying it stays this way so maybe she can try her hot tub out Thurs or Fri (then possibly snow this weekend – crazy). We might have to wait a few more weeks for the hot tub, not sure. 4) Hope you enjoy our St. Paddy’s Day pictures! Sorry, it’s been almost a month since my last blog update. I know some of you have begun to wonder, email or call to check how Ally and our family are doing, and I’ve been horrible with keeping in touch with everyone – sorry. Thank you sooooo much for thinking of Ally and us. I will say it again — family and friends (and God and angels) mean the WORLD to us!!!! Let’s start with some GREAT new pictures… CLICK on the album covers below to see some amazing pictures and short video clips from Nickelodeon Storytime Live and the last two albums have pics of our last hospital stay and some random pictures from around our home…. The last few weeks, I’ve been pretty drained of energy and slowly regaining my mental strength from Ally’s last illness and our last hospital stay (also dealing with some new things). We are okay, but I’ve just stayed in our home bubble for a while, away from germs and most of the real world. I’m not sure why it has been so difficult emotionally for me to get back to the ‘stronger me’ or ‘normal’. I have to admit that part of it is, dealing with SMA can just really stink at times and its unfair that families go through so much. 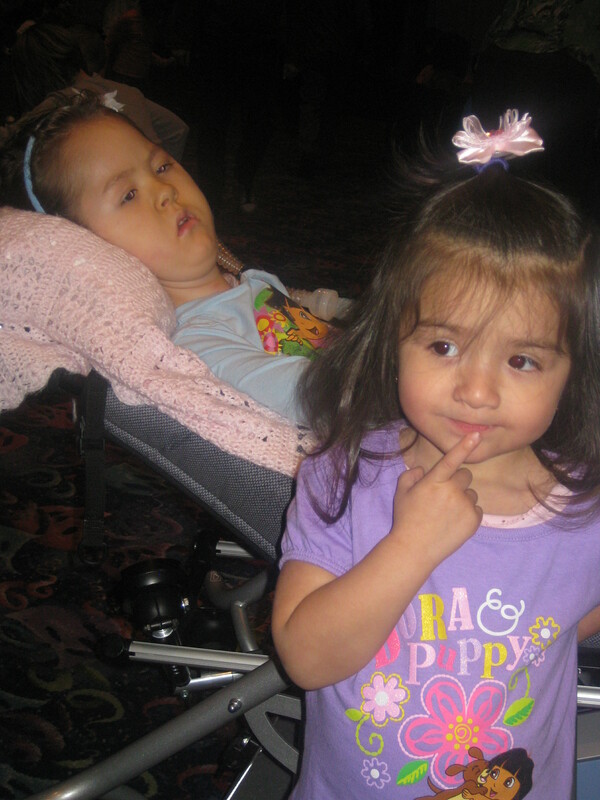 (I also know SMA and Ally have made us stronger in many ways and have taught us so much about life, love, courage, friendships, faith… but sometimes it just stinks!) I think another part of it is that I truly feel guilty or bad for venting about some of the ‘bumps’ we deal with in the hospital and I’m a little sad/mad that I had to let a lot of my feelings out with tears during the last rounds with the doctor team before going home from the hospital. It can get very, very stressful when in the hospital for any amount of time (10 days in Feb), and although I try to stay as positive as possible, it helps to let some of the emotions/venting out in my blog posts or directly to others. That being said, I feel guilty or bad about it too, since I TRULY AM GRATEFUL AND THANKFUL to CHILDRENS MEMORIAL AND THE AMAZING STAFF that have helped Ally and our family through many hospital stays over the last four years. I am so happy that they continue to grow with us and have helped me immensely to keep my little girl alive and get her as healthy as possible so we can be together and happy as a family AT HOME. Although there are many different personalities that work at the hospital with some people not always understanding SMA, or what families are going through when dealing with serious illnesses– there are sooooooo many others that truly care about the patients, Ally, me and our family, and soooooo many that go over and beyond. Those that have worked with Ally many times and have been a true part of her nursing and/or respiratory team, I am most thankful to. I’m also thankful to the doctors, APNS, and others who have gone the extra mile and who have the caring touch with a family approach. I also know that even if I don’t see eye to eye with someone at the hospital, that doesn’t mean they don’t care or aren’t trying. It may just be in a different way. I understand that there are also limitations with scheduling and hospital policies or other things going on that cause some of the bumps. When Ally gets sick, she gets REALLY sick and collapses her left lung so quickly which often requires her to be in the hospital with the availability of oxygen and staff that can help me do LOTS of extra breathing treatments, have the right antibiotics, and so much more that we couldn’t handle at home. 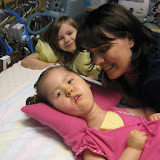 Without Childrens Memorial, we would not have Ally today, so I am thankful. I really wish that Billy and I could handle it all ourselves at home, but we can’t, and so we will most likely have future hospital stays. I know I will have more bumps and venting in our future, since I can’t keep all these emotions bottled up and sometimes it helps to vent to improve things for Ally and others, but I also want to be sure that I am giving credit where credit is due and saying THANKS to those who are helping. I also want to say SORRY for the times I might be inappropriate with my venting and will blame some of it on stress, being scared and not in control, not enough sleep at times, or just me not understanding all sides of the situation. While saying SORRY for venting, I need to also apologize for being absolutely horrible with “THANK YOUs” to those that have done nice things for Ally and our family. I would LOVE to send out thank you cards and messages to everyone for all the amazing things , but often get behind. This is still a goal, but I know I’m lacking and will probably never catch up. 1) As mentioned above, a HUGE thanks to the Children’s Memorial staff for all their hard work and caring to get Ally better and back home, where she belongs. 2) Thank you for all the wonderful e-cards and supportive emails/phone calls to Ally and our family while in the hospital and after! 3) A HUGE thank you to all our friends and family who were able to attend Ally’s 4th Birthday Party and/or sent her cards or gifts in the mail. Due to our hospital stay very shortly after, I never was able to do formal thank you cards. I even found a few checks I still need to deposit, so sorry if I’ve confused your accounts. Ally’s 4th Birthday was absolutely amazing and we are soooo glad that we had this happy event before her hospital stay. Thank you to my sister Tammy who did a TON of the work and shopping for Ally’s birthday party. Thank you to Mama K for being a clown. Thank you to Maribel and Megan for helping with nursing before, during and after the party and to Jose Luis for helping me clean up some of the mess. Thank you to Tammy, my mom- Carol, Billy’s mom- Stephanie, Bobby/Jay’s Beef, and Billy for helping with the food for the party. Thank you to Papa John, Kristyn and Melissa for helping to decorate. I know I’m forgetting something else with the party – sorry and thank you. 4) Thank you to some wonderful friends who helped with meals recently. Lucy-thanks so much for the Beef meal and energy drinks our first night in the hospital and for helping us admit Ally and getting Billy there later. Megan–thank you for the GREAT breakfast and conversation the last morning at the hospital. A HUGE thank you to Lisa W for tons of snacks/food for our fridge when we returned home and for the Bije’s Pizza meal. A BIG thanks to Roslyn for the dinner gift certificate that I will be using soon, such a neat place www.theperfectdinner.com. A NICE thank you to Megan’s family, Pam-mom and Katie-sister, for the AMAZING pasta and chicken enchilada meals that was enough for a few days. A WARM thank you to Carmen, owner of Brickyard Burger King, who made us a delicious stew last week and who’s restaurant is selling shamrocks for the MDA. Lynda – thanks so much for the Count Chocula cereal (that I ate too) and the absolutely adorable dress for Ally. Can’t forget my Mom – Mom thanks for the millions of meals you made while we were in the hospital and VERY often at home to help out. You are truly the best mom and grandma in the world!!!! 5) Thank you to Aunt Joy and Uncle Jim who continue to help in so many ways, even though they are in South Carolina. We love you and hope you can visit soon. 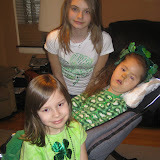 6) A BIG thank you to Ally’s home nurses – Lucy, Megan and Maribel. I can never thank you three enough for all you do for Ally and our family. It gets tough when Ally is sick and it means the world to me that she has such wonderful nurses. Thanks for becoming a part of our family and for always going over and beyond. Thank you for also being here during the times when my energy is low. We also look forward to seeing Roslyn and Kate in the future again too. 7) Thank you to Ally’s homebound school team! Ally has school at home 1 hour every day M-F with Miss Claire who is amazing and very creative working with Ally’s Dynavox computer, doing crafts, reading books, calendar, songs… and so much more. Ally has speech every other week for an hour with Miss Eileen who also helps with Ally’s computer and communication devices. 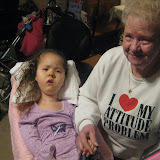 In addition, she has Ms. Melissa for PT and Miss Senaida for OT who have been doing some direct consultation with Ally’s loaner power wheelchair, switches and stander. We are so lucky to have such a strong team. Ms. Sandy and others from Stock School also check in on Ally often and send special cards. We hope to maybe start attending a little school sometime in April but are waiting for now. 8)A special thanks to Ally’s Horizon Palliative Care Team! 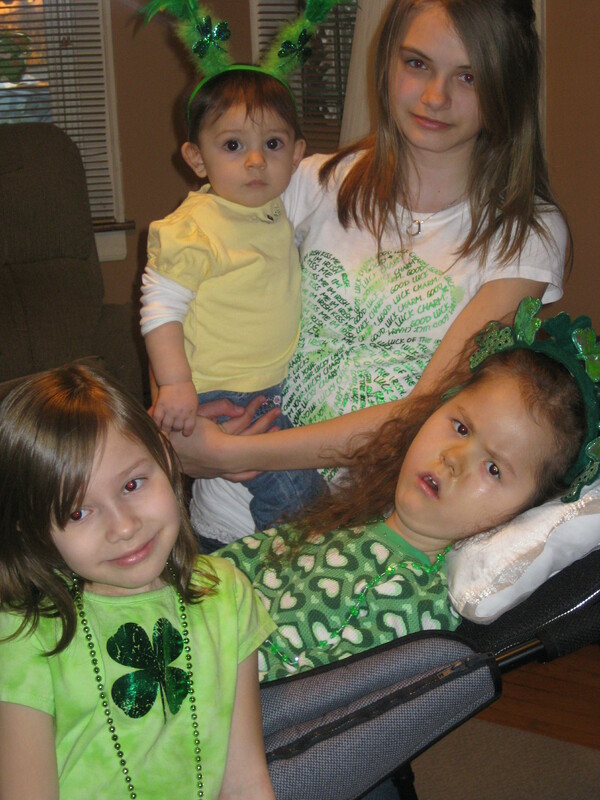 Ally is part of the Horizon Program as support for a family dealing with a chronic condition. We are soooooo lucky to have RN Mirium check in on Ally, Ms. Joan who does creative art projects with Ally on Mondays, Ms. Lisa who does music on Wednesdays, and our volunteer Catherine who comes to play with Ally and Melissa. We also have social work and Melissa, a great chaplain, as needed. 9) A big thanks to our neighbors/friends who have helped out with driving Kristyn and Melissa and/or letting them hang out and have some meals in your houses, and so much more. Zakrewski’s – you are great friends to us and Melissa LOVES hanging out with Courtney (interesting how its Melissa now and Kristyn in the past). Gabby and Burghese Family – Thank you for letting Kristyn be a part of your family on an almost daily basis with staying there, meals, rides, fun… so much all the time. Courtney Graz’s family – thank you so much for driving Kristyn to school and letting her hang out often. She really enjoys going a little earlier to school and being with friends. Pasiewicz Family- thanks for rides for tumbling, for all you do for Kristyn and your support. There are many other neighbors who help out, thank you!!!! 10) I mentioned my mom when talking about Ally’s birthday and meals, but I need to thank her again for ALL she does. Mom – You’re support, love and help mean everything to me and our family. We are so lucky to share your home with you and to have you. From driving the girls to school, to picking things up from the store, meals, someone to talk to, waking the girls, letting them hang out downstairs, help with Ally, …. soooooo much every day. Thank you for teaching me to be a better mom too! 11) Billy deserves TONS and TONS of credit and thanks too. He doesn’t read these blogs often, but I want to thank him formally for all he does as a father and husband. He somehow never seems to lose energy and does his best to help support me emotionally, lots of help with household chores and is an amazing Daddy. Because he is also playful, sometimes the older girls give him a hard time, but this is also why we make a great pair of being opposites. Dealing with SMA can cause a lot of stress on a family, just regular life can be tough for any couple, but I am thankful for all of his support and love. We’ve started dating in 1991 (almost 19 years ago), got married in 1997, and have gone through sooooo much, but I will say I am a lucky woman. 12) Thanks to everyone I didn’t get a chance to mention since my mind is frazzled and old. I know I haven’t mentioned everyone, since we are so lucky to have GREAT, great friends and family. Thank you for understanding and for all your past and future support and prayers. I feel a little better that I was able to get some of my feelings posted and acknowledge the GOOD in others around us and thank those supporting us. Although I get behind on sending out thank you cards, please know that I am always thankful for things done for Ally and our family. I’m sorry if there have been times when I haven’t been able to acknowledge something special done for us – we do appreciate it greatly. I am also thankful to God for lifting me up during the rougher times. I don’t always understand the trials that our family is faced with, but I am soooooooooo happy to have been blessed with Ally, Kristyn, Melissa, Billy and all of our family and friends. This ended up being a longer post than planned, so I will write another update soon with more details about how everyone is doing and our spring plans. Overall things are good now. I am regaining energy and Ally is almost at her baseline. She was better, then dealt with another serious cold/virus or the same one lingering some and flaring up. She hadn’t gone anywhere, but its the season so I’m not surprised. Just want her to stay healthy and happy. We have stayed home, taken precautions and done extra treatments as needed. It got bad for a few days, but with home nursing, lots of treatments from Billy and I, and tweaking some bi-pap settings, we were able to stay home. Ally’s left lung has varied a lot in air movement, and she has times she is trying to cough and she looses her breath, but overall she seems to be almost back to her baseline. To keep on the upward trend, she is getting a little extra bi-pap and cough assist. Since Ally has been doing better and we haven’t done much at all, we did one special pre-planned outing. 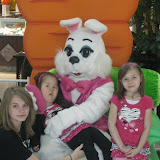 Yesterday, 3-13-10, we went to Nickelodeon Storytime Live at the Rosemont Theatre and had a great time. It was me, Ally, Melissa, Tammy and John Jr.. Ally met a special 2 year old, Abbie, who had a very special kindness to her. Abbie gave Ally her brand new Dora doll and had a sweet grandma who bought her a new one. We were all amazed at how much Abbie connected and wanted to be kind to Ally. 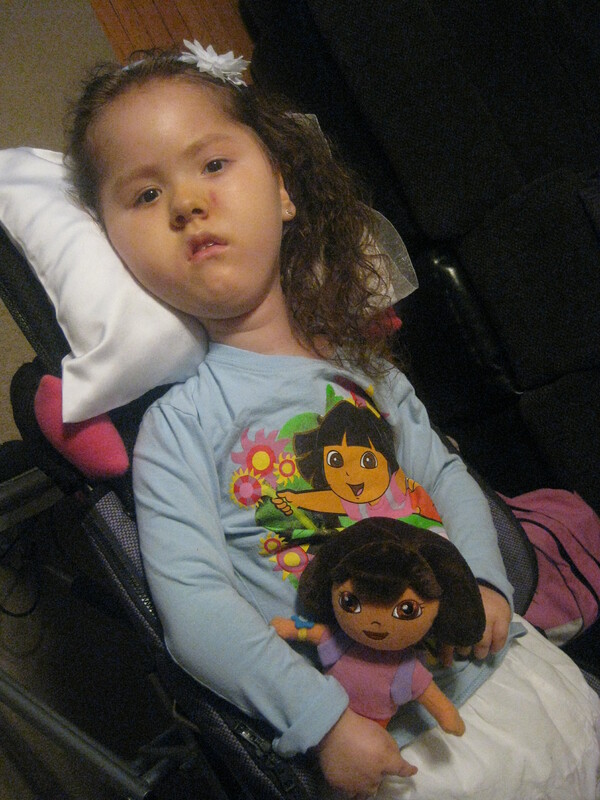 The pictures below are of Ally & Abbie and Ally with her new Dora doll. Thanks again Abbie and Grandma Bobbie!!!!! I really believe that Abbie might be another angel here on earth with a special soul reaching out to touch our family. She definitely comes from a caring family to be so sweet towards Ally. See the entire album and short video clips of Nickelodeon Storytime Live at the beginning of this post. It was a great show and I recommend it to others. My only regret is that I wish I would have tried to pre-arrange a Meet and Greet for Ally to see the characters up close and personal. After looking at their Facebook site and info on the Nickelodeon website, I think it might have been possible. Maybe next year! Okay, off to go shower, maybe shop and make dinner. I woke up in the middle of the night and started typing this. It might sound a little odd since my mind has so many crazy emotional thoughts, but hopefully it will help others understand a little what I am feeling, understand why you haven’t heard from us, and most important I was able to begin my thank yous and acknowledge the positive about the hospital. PS — Hoping to get out a little with healthy friends and family soon. Call or email if you are free and want to stop by, catch a bite to eat, see a movie, or just chat. We are really looking forward to spring.